Asahi Kamera Nenkan = Asahi Camera Annual. [Tokyo: Asahi Shimbun Sha, 19. C International Photo Magazine. London: Ivory Press, 2005. Camera. English edition. Lucerne: C. J. Bucher, 1957. Camera Work; a Photographic Quarterly. Edited by Alfred Stieglitz. New York: A. Stieglitz, n.d. Camera Work; a Photographic Quarterly. Edited by Alfred Stieglitz. Nendeln, Liechtenstein: Kraus Reprint, 1969. Center for Creative Photography. Tucson, Ariz: University of Arizona, Center for Creative Photography, 1976. The Daguerreian Annual. Lake Charles, LA: The Society, 1990. The Daguerreian Journal. NY: Printed by W.S. Dorr (etc. ), 1850-1851. Déjà-vu: A Photography Quarterly. Tokyo: Foto Puranetto, 1990. Das Deutsche Lichtbild. Berlin: R. & B. Schultz, 1927. Humphrey's Journal of the daguerreotype and photographic arts, and the sciences and arts pertaining to heliography. NY: [s.n. ], 1852-1862. Humphrey's journal of photography and the heliographic arts and sciences. NY: Printed by W. S. Dorr [etc], 1862-1863. Humphrey's journal of photography and the allied arts and sciences. NY: Printed by W.S. Dorr [etc. ], 1863-1870. Image: Journal of Photography of the George Eastman House. [Rochester, N.Y: George Eastman House], 1952. Leonardo. Oxford, Eng. : Pergamon Press, n.d. The Photographic Journal of America. Philadelphia: Benerman & Wilson; 1864. The Photographic News: A Weekly Record of the Progress of Photography. Edited by Walter B. Woodbury, William Henry Fox Talbot, Joseph Albert, Duncan C. Dallas, Francis [act 1860s Gresley, and H. P. Robinson. London: Cassell, Petter, and Galpin, 1859. Photographic Times. Edited by J. Traill Taylor, W. I. Lincoln Adams, Walter E. Woodbury, Alfred Stieglitz, Charles I. Berg, Henry R. Blaney, Alfred Clements, et al. New York: Scovill Manufacturing Company, The Photographic Times Publishing Association, 1871. Photographische Mitteilungen. Edited by Hermann Wilhelm Vogel and Ernst Vogel. Berlin: Robert Oppenheim, 1864. Afterimage. Rochester, N.Y.: Visual Studies Workshop, n.d.
Aperture. San Francisco, Calif: Minor White, 1952. The British Journal of Photography. Liverpool ; London: H. Greenwood, 1854. Bulletin de La Societe Francaise de Photographie. Paris: Société française de photographie, n.d. Camera Austria International. Graz, Austria: Forum Stadtpark, 1991. Exposure. [New York: Society for Photographic Education], n.d.
Fotogeschichte. Frankfurt am Main: T. Starl, 1981. Grey Room. Cambridge, MA: MIT Press Journals, 2000. History of Photography. [London: Taylor & Francis Ltd.], n.d.
Photoresearcher. Croydon, Surrey, England: European Society for the History of Photography, 1990. Borges, Sophia. 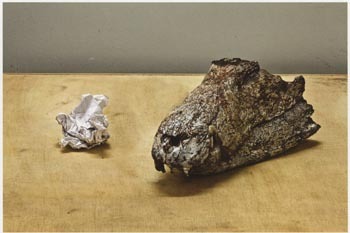 "Otienta Milhões de Anos (Eighty Million Years)," photograph, 2012. In: Aperture, Silas Marti, Vol. 215, Summer 2014, p.113. Swain, J. "J Swain Nature Photo." 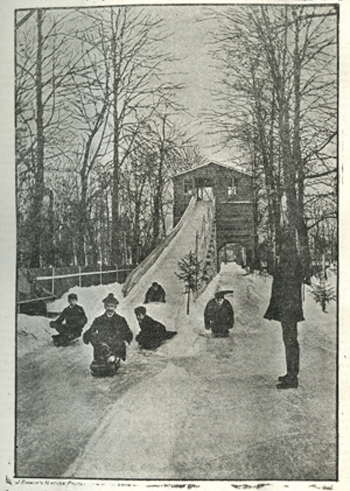 In: Condojannaky, N.," Ice Hilling in St. Petersburg". Photographic Journal, April, 23, 1886, p. 267. Paglen, Trevor. 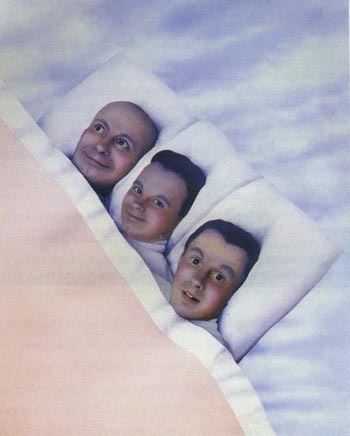 "They Watch the Moon," C-print photograph, 2010. 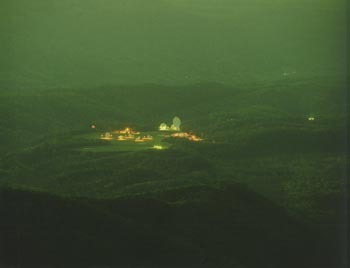 In: Norman M. Klein, Trevor Paglen. Invisible Kingdoms: A Feudal History of Black Budgets/Onsivhtbare Königreiche: Eine Feudalgeschichte schwarzer Budgets. Camera Austria, International, 127, 2014. p. 129.